Discover God's love in these 22 stories of lives changed forever through their encounters with the immensity of God's love. Want real stories of Love and Faith? First there was Faith, and then there was Hope, and now John Sentamu has compiled an all-new collection of true stories on amazing impact of God's Love. The third book in the series by Archbishop of York John Sentamu, Agape Love Stories is a collection of stories from across the globe of people whose lives have been drastically altered by God. These are stories to offer hope and reassurance. And each one is wholly and totally true. Jean Vanier, founder of the L'Arche communities for people with developmental disabilities, whose entire life and limitless compassion have shown God's love to countless people who had previously felt rejected and unwanted. Jean Vanier's story shows what God's love can look like in action. Richard Taylor, a man who tragically lost his ten-year-old son, Damilola. Killed in 2001 as he was walking home from his after-school club, Damilola's death moved Richard, and his wife Gloria, to work on bringing hope and and positivity to urban communities that were previously written off as hopeless. Emily Finch, whose creative compassion led her to purchasing an actual bu (with her own savings) and driving it around to show God's love to people by going to them. With an introduction to each story Each of the 22 stories in the book has an introduction by John Sentamu, and will give the reader hope both of God's love, what people are doing to share that love, and how they're making the world a better place though it. So feel blessed and inspired with these 22 stories of God's active, powerful love. John Sentamu's Agape Love Stories by John Sentamu was published by Darton Longman & Todd in October 2016 and is our 5708th best seller. 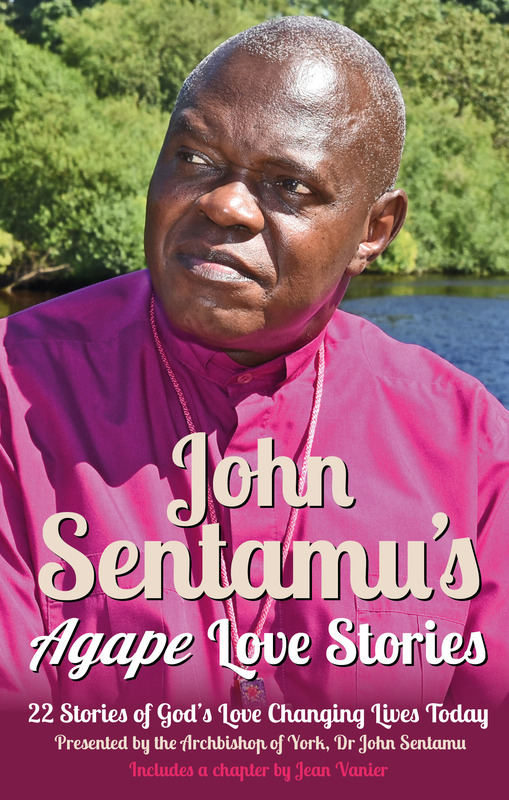 The ISBN for John Sentamu's Agape Love Stories is 9780232532234. Be the first to review John Sentamu's Agape Love Stories! Got a question? No problem! Just click here to ask us about John Sentamu's Agape Love Stories. In this moving and inspiring book, compiled by John Sentamu, 22 people, including Jean Vanier and Richard Taylor (the father of Damilola Taylor), explain how an experience of God's agape love gave them hope and changed lives. These are stories which stand as inspiring demonstrations of Christian faith in action. Among the contributors are people who have lost loved ones to murder and natural disaster, some who have overcome extreme personal challenges and some who have devoted their lives to a God-given calling to the service of others. Their stories, with accompanying words of wisdom and encouragement from John Sentamu, are witness to the life-transforming power of God's love.